John is always doing sweet things for me! He's so kind hearted and is constantly showing me how much he loves me in all sorts of ways. I'm a lucky girl and praise God for this blessing. I have years of examples of his thoughtfulness - wonderful things he's given me or simply things he's done for me. It doesn't even have to be anything grand, just the littlest of things. About a month ago, he bought me this necklace to honor the day we became husband and wife. I love it SO much and have worn it a few times. It's very special and obviously one-of-a-kind. I will treasure it always and love the reminder of the best day of my life. Thank you again, my sweet husband! 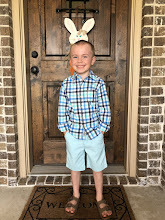 We had a wonderful time at our family reunion and trip to Fredericksburg (see post below) and there are pictures to share from that, but I want to post the rest of the pictures from when our nephews, Jacob and Isaac visited last month. I've posted several pictures and about some fun things we did previously, but here are the rest of the pictures! They include sending post cards to their Mom & Dad and Grandma & Grandad, going down to The Harbor area at Lake Ray Hubbard, playing board games, on our way to dinner and shopping, playing in the backyard with the water hose and my old high school flags, looking at scrapbooks and looking through and sorting my PEZ dispenser collection. I have much to blog about, but not much time lately - life has been very busy. I am keeping a "to blog about" list so hopefully I will catch up soon. However, for the next couple of days we will be enjoying some time away. Hooray for R & R!! We are leaving in the morning to spend the weekend at a family reunion - fun times! We will have the camera along and many pictures to share when we are back home. It should be a great weekend with everyone staying in one big house. When the family reunion ends on Sunday, John and I are driving to one of our favorite towns, Fredericksburg, Texas. It's a quaint German town in the Texas hill country - we love it so much. We spent part of our honeymoon there and have gone every year since. We are really excited about eating, shopping and relaxing while we are there. We'll be back home Tuesday evening and back to reality on Wednesday. We are thankful for a break! More pictures of Jacob and Isaac's stay with us! My previous 2-3 posts have been highlighting our nephews' 10 day stay with us. We took so many pictures, I am trying to break it up as much as possible. Today we are going to talk FOOD! We did a lot of eating, snacking and desserting at home and "out on the town". The boys did not go hungry, that's for sure - neither did John or I for that matter. While we didn't take pictures of all of the yummy stuff, we did get a few. The first night the boys were here John made us a batch of homemade ice cream and I made a batch of chocolate chip cookies - it definitely got the week off to a delicious start. We also took the boys to a few of our favorite places. Brooklyn's - Favorite Pizza! Cold Stone Creamery - Favorite Ice Cream Spot! (which is on the lake at "The Harbor") Bahama Bucks - Favorite Sno Cones! We also got our tabletop smores maker out one evening and made smores after we played board games.